2017 was a great year for Cabinetsmith’s Community Involvement. 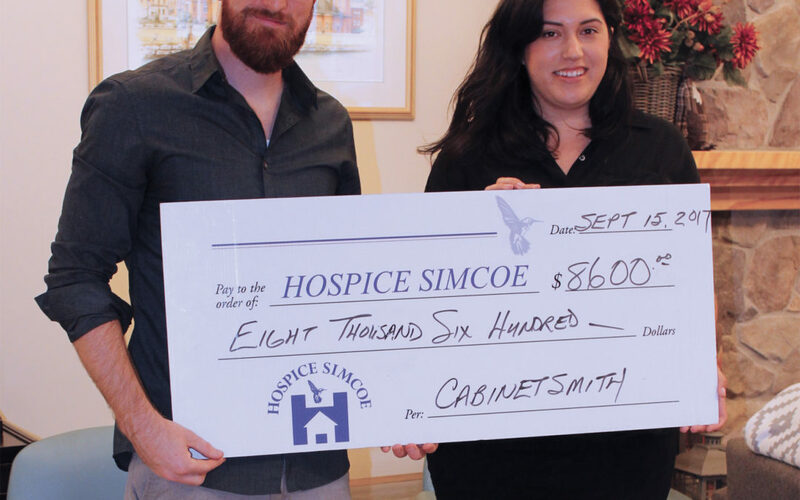 Thanks to our annual Golf Tournament, weekly and monthly fund raising initiatives we were able to raise $8600 for Hospice Simcoe a cause that is close to all of our hearts. Hospice Simcoe’s vision is to be a leader in palliative care, community and bereavement support through compassion, integrity, collaboration and innovation. Their mission is to provide meaningful support to those touched by a life limiting illness, thereby enhancing quality end of life.